And here is my room since I've cleaned up the disaster I came home to. It took me over a week to clean up the mess and reorganize. Unfortunately, all the shelves that were up on the wall came down. There was glass everywhere since I had my penny jars up there. Holy moly! What an amazing room...so sorry your shelves fell but what a great clean-up! 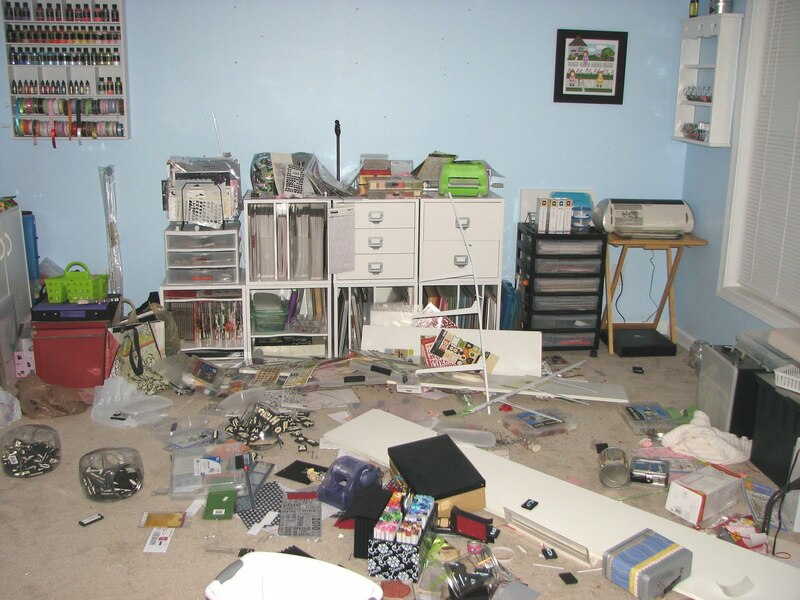 Your before pics look like my room now and I didn't have anything fall off the walls LOL It's just a plain old disaster LOL, hey, I'm creative, you can't possibly expect me to be clean too right LOL! !